Camana Bay, Cayman Islands Blockchain-based data company DataBlockChain.io has officially announced the release of its MVP (try it here). The DataBlockChain.io team couldn't be more excited to unveil what they have been working on. "It's a truly exciting breakthrough for our project and the data industry as a whole. 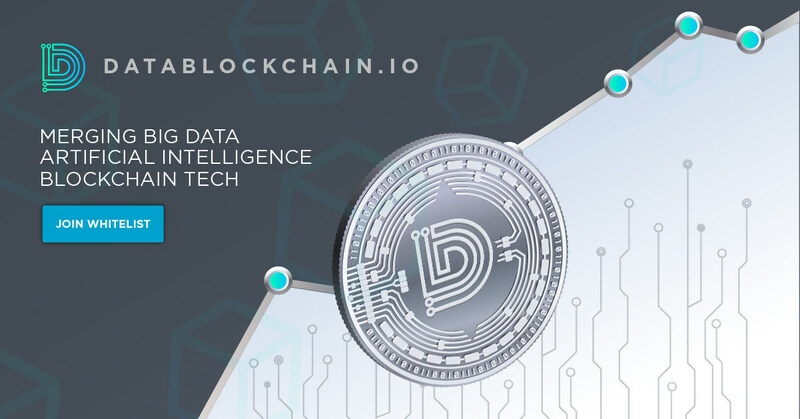 It gives prospective data source vendors and data purchasers the opportunity to see how our platform is truly changing the data marketplace," said DataBlockChain.io CTO Jesse Brown. "We believe that this will demonstrate to our community just how committed we are to providing real and tangible value to the global data ecosystem." Metamask will be used for the MVP to conduct transactions on the platform while using the Rinkeby Test Network to verify transactions. For the final version, DataBlockChain.io will implement its own browser-based DBC wallet that will allow for its own DBCC token and others to be stored and exchanged. In the MVP's current form, users can purchase data, download and sample it, see previous purchases and verify purchase transactions on the Blockchain. DataBlockChain.io's Pre-Sale phase is set to begin on May 27 at 1:00 a.m. Eastern Standard Time (UTC -4).